In Australia, Holcim has been delivering construction materials since 1901. Originally serving the industry under the well-known Readymix and Humes brands, Holcim now continues to supply products including aggregate and sand, concrete, concrete pipe and products. Holcim operates right across the Australian continent supplying concrete from a network of more than 150 concrete plants, 60 quarries, 12 precast and concrete pipe plants and mobile and on site project facilities. 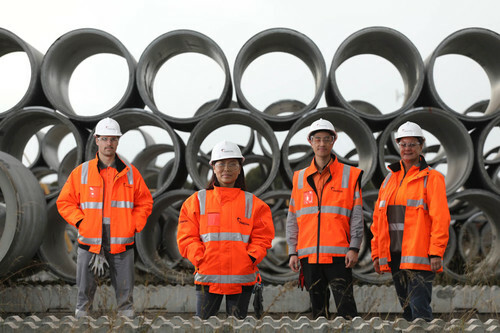 In January 2015, Holcim Australia combined with Holcim New Zealand to become Holcim Australia/New Zealand. In July 2015, our Group Company Holcim merged with Lafarge to form LafargeHolcim, the leading building materials company in the world. We build with integrity, so you can too. Health and Safety is our number one priority. We have a strong focus on Sustainability. Sustainability is not new to us in Australia and we have been active in this area for over a decade. We have built a culture at Holcim based on integrity and underpinned by our Code of Business Conduct that ensures all our people share our commitment to conducting business with integrity, and provides guidance on how to put this commitment into practice. In addition, Holcim seeks to engage in long-term relationships with Suppliers that are committed to sustainable development. Our goal is to partner with Suppliers to deliver value-for-cost procurement for our business and our customers, and to demonstrate responsible supply chain management. We do this through our Responsible Procurement Policy and Code of Business Conduct for Suppliers. Our Code of Business Conduct for Suppliers sets out our commitments and expectations, and is based on the Sustainable procurement standards enshrined in the United Nations Global Compact. Health and safety is at the centre of everything we do, from the daily routines in our plants to our customers’ worksites and our actions in our neighbouring communities. Our aspiration is to conduct our business with zero harm to people and to create a healthy and safe environment for our employees, contractors, communities, and customers. This is how we intend to make a difference in the way we work, in our business and communities. Providing a diverse and inclusive work environment through clear actions and attitudes. Maintaining a Health & Safety Management System designed to continuously improve our performance and actively manage risk in our business. 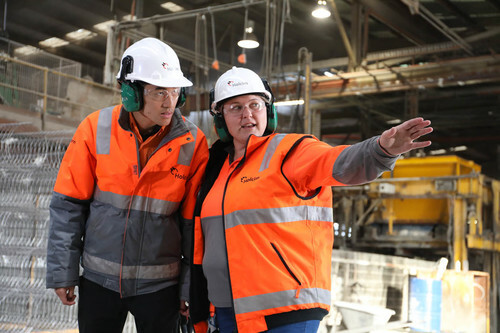 At Holcim, we want to lead in sustainability and set new standards. We want to transform the way our industry works and encourage the whole construction sector to play its part in addressing our planet’s biggest issues. As part of a global leader in the construction materials industry, we have both the opportunity and responsibility to make a positive difference. How will we do this? The 2030 Plan. “The 2030 Plan” focuses on how we can improve the sustainability of our operations and come up with innovative, sustainable solutions for better building and infrastructure. But we can’t solve the world’s challenges by ourselves. Our plan also looks beyond our own business activities to our wider industry. We are committed to working in partnerships to make the entire construction value chain more innovative and more mindful of the use of resources and the impact on nature. And we are committed to improving communities’ lives by providing solutions to their challenges. Ultimately, we believe “The 2030 Plan” will help us do better – for communities and the planet, as well as our business. Our 2030 Plan targets are supportive of UN “Sustainable Development Goals” for the planet, on which we will report our progress in a transparent way. Our 2030 Plan sets a vision and defines the next steps in that direction. It sets quantitative targets related to our direct and indirect impacts over the whole life-cycle of our products and services. 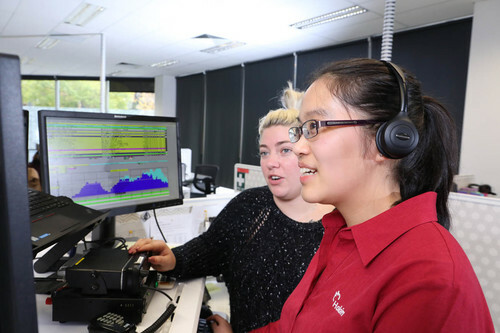 At Holcim, we believe a diverse and inclusive workplace drives sustainability, innovation and high performance. 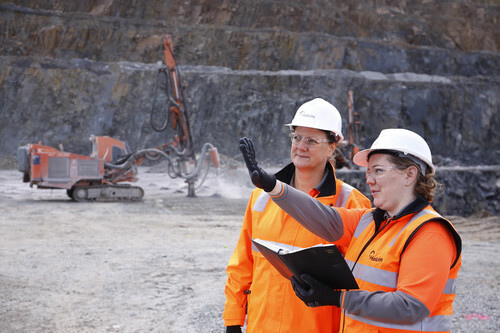 In a historically male industry mirrored in our organisation, Holcim have made gender diversity a specific focus area and to help drive this forward, we created the Women’s Task Force in 2016. The Women’s Task Force aims to look at ways to increase female participation rates across our workforce. In Australia, Holcim has been a partner of The Beacon Foundation since 2001. The Beacon Foundation primarily strives to keep kids in school and off government support payments. Where staying in school is not possible or viable, The Beacon Foundation assist with preparing the kids for the workforce through readiness programs such as interview skills and personal presentation advice through to help facilitating apprenticeships and traineeships in line with the student’s skills and goals to help them succeed. We have also been working extensively in partnership with Birdlife Australia since 2012 to aid in the conservation of Australia’s breathtaking birdlife and helping to raise awareness and increase community participation in this important area right in our own backyards. Holcim has been working with Habitat for Humanity through their state branches for several years; includes donation of concrete and volunteering to their many worthwhile projects. Holcim works locally with many NGOs and local community groups to assist with community development projects in the communities in which we operate. In addition, we are committed to establishing and maintaining sustainable and mutually advantageous relationships with Indigenous communities wherever we operate. We currently have over twenty agreements in place nationally, some for many years with great examples of success, and many more relationships in place across the country.